In Europe, Adam and Eve were both Caucasians. They lived in the Caucasus Mountains until they gave birth to all of us. (This is according to the European Bible & The Vatican). NTOABOMA—At least back in the day, before colonial terrorists from the caves in Europe descended upon African land, our traditional systems produced serious people. Maybe not well-read and geopolitically savy people about the nature of the terrorism that befell them, but serious people alright. Even our chiefs were serious people, no matter how corrupt some turned out to become. Take for instance the Asante Traditional Statesman from a couple centuries ago. 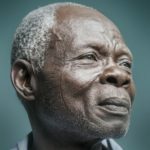 How is it that centuries ago, a man like the Elder Nana Yeboah (may he continue to enjoy the Ancestral World), with zero mission school education, or westernized education, had the clear mind to question exactly what the pirate, Englishman Thomas Bowdich, meant by bringing to Asanteman the “benefits of English civilization?” Yet an educated president of the republic of Ghana remains incapable of wrestling his mind from the iron claws of his colonial and missionary education? How is that for a traditionally educated Asante statesman? Now, our mission school system today, during this neocolonial era, produces book-clever people. Paramount examples lie everywhere one looks. Some call themselves civil engineers, but cannot build a single thing with thatch, clay or bricks—the road to their hometowns remain the footpaths they were since 70 years ago; some call themselves doctors but haven’t found a cure for anything yet, not even for malaria; some call themselves Presidents but have yet to build free nations with real powers; some call themselves lawyers but know nothing about their traditional laws. This means that the mission school educated man can read words on a sheet of paper, memorize it and reproduce it without mistakes. People who are trained this way are not serious people. They will never be serious people! They have no beliefs of their own and they form no beliefs of their own. For them the world is based on facts, like those on a sheet of paper that is handed down from one country to the next. These men do not know, nor do they understand that the world and the life of nations (and its peoples) are run on ideas. Not facts! The entire ad misses the point of illustration. The story is not necessarily real but more illustrative. The story is an idea, and the idea is supported by symbols, which CNN likes to call “facts.” Alright. But it goes to show that even the Chief Executives at CNN do not understand that the type of fruit (probably made up) is not the point of the Biblical narrative. However, since the mission school educated are only taught to memorize and regurgitate facts from a sheet of paper handed down to them from the Vatican, they follow in good faith reproducing symbols or “facts” that entrench ideas far more illustrative than the “facts.” They reproduce memes without mistakes. 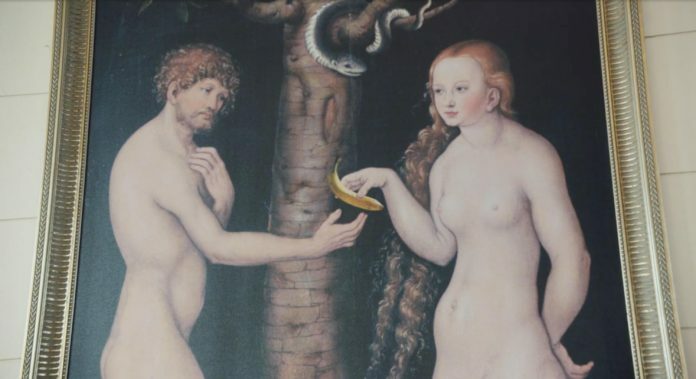 CNN believes that Eve indeed handed Adam an Apple, not a Banana. And this is what contradiction they have set out to correct in American media, for example. When traditional people live long enough they, like Nana Yeboah, finally realize that the world is rather based on ideas (or more correctly governed through ideas or ideology), and that facts are selected to help ideas blossom. No one considers all the facts for any idea, else every idea invariably leads to contradiction (Narmer’s Paradox). For instance, if the Biblical story of Adam and Eve is about “facts” and not an idea, then the facts ought to lend themselves to reasonable and rigorous scrutiny. If the supporting scientific fact points to human life originating in East Africa, how then is the type of fruit that Eve presented to Adam an Apple? Apples do not thrive in East Africa! Now, one can say they may have thrived there once (in the distant past) but that hypothesis is likely to be false. Still, there remains doubt about the fact of the Apple. How is the fruit Eve presented to Adam (the first human) not more closely a Banana in Africa? The foolishness of CNN is exposed. Their ignorance glaring. The thing about the mission school educated is that he’s often confused because his world is based on what he presupposes to be a bundle of facts (and nothing outside of that). He will never accept that he does not know all the facts (since nothing exists outside of his “facts”). Even when other facts are presented to him he fails to include these new facts together with the old. The mission school educated has more education than his Ancestors yet he is an idiot, from birth to death. He is a contradiction. He does not comprehend the idea that facts alone do not hold together. It is ideas that hold a set of facts together. The traditional scholars like Nana Yeboah knew this, they knew it very well, and we know this now. You are better led by an idealist than a mission school educated. Kwame Nkrumah, the first President of Ghana, was at least an idealist. He was a Pan-Africanist. He believed at least in the complete sovereignty of Africa and Ghana, to be precise. Those he worked with by and large were mission school educated fact-men. Men who read so much they forgot the country they lived in. Men who read so much they felt English and American. Men who read so much they assumed they lived in London. Men who read so much they assumed their King was rather Queen Elizadeath not Asantehene or Awomefia. Men who read so much that the CIA (America’s Secret Retailers of Alternative Facts) placed them on a stipend on Ghanaian soil. Men who read so much they overthrew Kwame Nkrumah in a coup. These men of facts, the fact-men, are the More Educated Than His Ancestors (the Metha). The know everything yet know so little. They argue over whether Jesus existed or not, not understanding that the “Existence” of the Christ or not, is not even the Issue, or the Goal. The Idealist pushes his Mission. He gathers or rather he selects the facts for his mission. The colonial terrorists (the English) on Ghanaian soil had a mission: To transmogrify the neural network of every child born to the mission school system and have them regurgitate and reproduce the facts of the colonial mission on Ghanaian soil. Unfortunately, it must take graduates of the traditional system to spot the cunning, the coonery and the buffoonery in order to overthrow the iniquitous colonial terrorist order. Unfortunately few graduates of the traditional system, like Nana Yeboah, remain. Few have the courage. Fewer can sacrifice their lives to the mission: To eradicate colonial mission school education and their Metha supporters from Ghana. Even fewer have the balls to stand up to neocolonial terrorist bullying. But there’s hope for those of us who still believe that the Ancestral World is not dead. We have hope that our Ancestors are still alive and kicking in the Afterlife. In due time, they will send us many Nana Yeboahs. I am an idealist, and if you want Ghana, and for that matter Africa to truly break free from colonial terrorism, you must become an idealist as well. Abandon the prison, the mass incarceration of mission school education. Wouldn’t it be lovely to see one day, in this land, a nice political cult of Yeboahists? People who can be outright and reasonably skeptical about Ghana’s continued dalliance with the British, the Americans, the Chinese, when the only history that shows in the facts is the relationship that hurts Ghanaians and that which only benefits the others. So who you wan make e spend ein time read? Blog it into your website. Beautiful submission… But a quick one; dont you think it behoves on any individual to develop and believe in the sovereignty of Africa? Kwame Nkrumah, as you stated also had mission school education; but his outlook for the country and continent he hailed from was completely different from the people he worked with (as you stated). One would have thought that someone who was trained and educated by the West would have thought and behaved like them. But he proved otherwise. I don’t know you on a personal level, so I would use myself as another example. I attended mission schools all my life but I think and behave differently from my peers. Can we agree the education system is capable of brainwashing people; but it’s highly dependent on individuals gullibility? You are not wrong. In fact, your theory is correct from where I stand. To clarify even further, individual gullibility (although it seems partly intrinsic) is also enhanced by community vulnerability, which is made manifest by allowing missionaries to establish these schools without traditional oversight in the first place. Some people are so gullible that they should never be terrorized with a mission school education in the first place. Their brains cannot compartmentalize – they cannot make a distinction between who they are and who the missionaries are. Nkrumah could take on a mission school education and tell the difference between his ideals and those of the missionaries. Braa Boakye too can be selective under the missionary imposition. Narmer certainly can. Most others, in my opinion cannot. My point, in addition to your fine one, is that when we allow our communities to become this vulnerable to a mission as education, others (other missionaries) will take advantage of the gullible ones among us. Missionaries were the early versions of what we now call NGOs… As is today, NGOs were for all intents and purposes vehicles of subterfuge…to penetrate and map the heartland of Africa as well as disrupt the customs and beliefs in a manner that makes them amenable to European conquest. Just as with missionaries in colonial times, today it’s the NGOs pushing the social disruption agendas from gay rights to women rights which are modern flavors of the present day gospel of “individualism”… whilst the former doctrine of individualism was spread by missionaries in the form of an individual called Christ who would deliver salvation to individual believers but not to soceity.